I have to give it to Marissa Meyer. Cinder is one of the most original and unique YA novels I have read in 2012. Cinder has it all; cyborgs, aliens, fairytales, mystery and charm ! This spirited re-imaging of Cinderella takes the best of Disney and Star Wars to create a world where the stakes are high and long kept secrets are revealed. 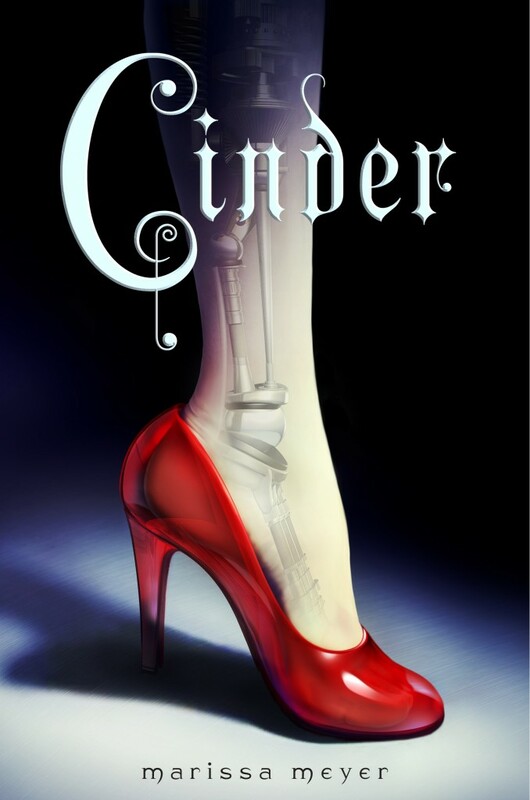 Cinder tells the story of a young cyborg mechanic, whose life is at the beck and call of her step mother. Overnight her life gets turned upside down when a mysterious plague, a charming prince and dark secrets come to light. Meyer does a wonderful job of world-building, she mixes sci-fi and fantasy while still making the novel seem somewhat contemporary. The plot had a lot of moving pieces that worked well together but I was able to easily predict the ending early. I wonder if this was intentional ? I like how this book was set outside of United States and lended itself to a more diverse setting and characters. Cinder is a headstrong heroine who has soft side. She seems to know what she wants in life and is wary of charming prince. Speaking of which, Kai is very similar to to a lot of YA guys but he had a little more depth to him. There is a part of him that wants to be a regular snarky teenage boy and the side that realizes his royal obligations. I listened to the audiobook for Cinder, Rebecca Soler, the voice actress does a good job switching from male to female voices and her accents weren't that bad. Cinder is a fun retelling that plays by it's own rules, while I did find it to be a little predictable it also threw in some plot twist ! The last few pages (er, minutes) had me on the edge of my seat. I was excited when Marissa Meyer tweeted she was putting the finishing touches on the sequel to Cinder, Scarlet ! I'm giving you this award! How is that Meyer can write a book so familiar at the base story yet so ORIGINAL at the same time? I felt like I was walking into a faraway universe, to a place I'd never been and could never have conjured. And the characters are a perfect fit! Fabulous review. I totally dig your take on it. This is the second audio review I've read and you speak highly of it like the other reviewer. I've been interested in this novel for some time and your review makes me want to bump it up on my priority list.